Automatic Sliding Door Operators - EDM-MD Series - Kenwa Trading Corporation, a specialist in door hardware and various door closing solutions. EDM-MD automatic sliding door operators offers you a high quality and competitive automatic sliding pedestrian door solution, whilst maintaining our proven unbeatable reliability and long service life. Specifically designed with great consideration to meet your project budget, EDM-MD is our most economical sliding door operator to date. Very easy to install and set up, with time on site greatly reduced to a minimum. This carefully considered operator is now utilised world wide due to its easy operation and useful features included. CE & EN16005 compliant. EDM-MD meets the highest demands in word safety requirements. Utilising our advanced Microprocessor technology together with a Brushless motor, EDM-MD is a high quality, automatic sliding door solution for easy open and close operation, offering a range of parameter adjustments and with a host of features and benefits. Design – Its compact size and functional housing design will compliment any installation project. 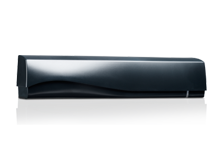 Designed to automate door panels of either single of bi-parting configuration. Quality – Utilising our advanced microprocessor control unit with a brushless motor, we achieve near silent and smooth motion. 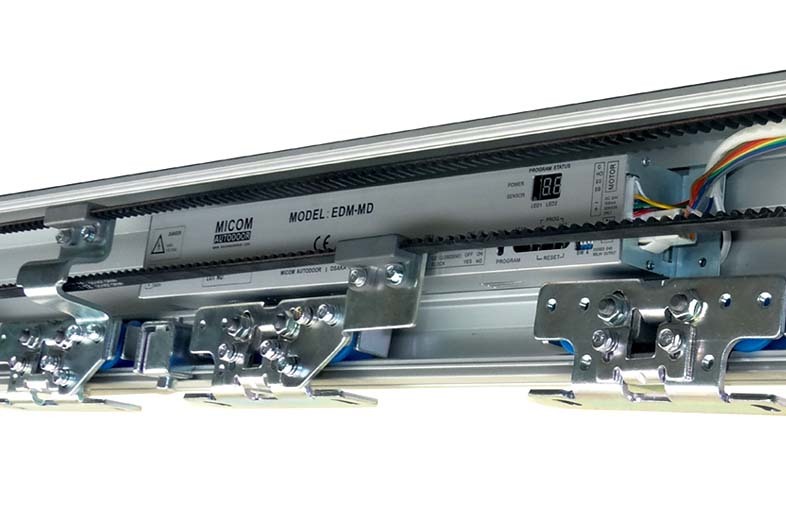 Highly reliable, using only quality electronic parts, EDM-MD automatic sliding door operators adapt effortlessly to varied door widths and weight capacities. Installation – Installation and maintenance are simplified with modular plug-in parts installed directly from the front, any component can be moved during or after installation. Parts can also be added or replaced with ease, greatly reducing time spent at site. 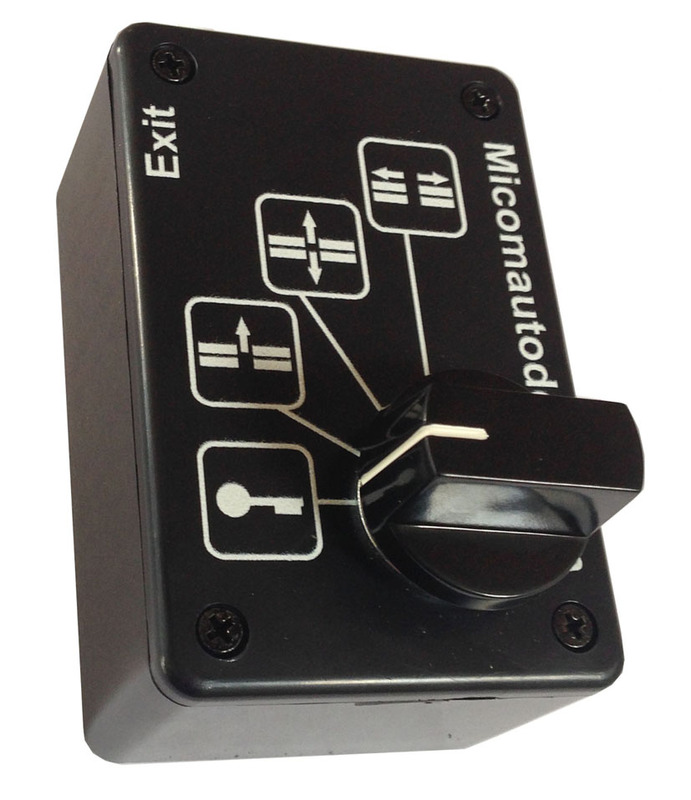 Adjustment can be achieved simply making MICOM sliding door operators quick to install and setup. Wiring – Available with a quick plug-in wiring hub ‘SMB’ interface board, we can offer a faster means of accessory connection. With battery and sensor monitoring, communication of all accessory and safety signals are combined with battery power and lock control. Working in parallel, these signals are controlled via our Selector Switch for greater ease of operation. All signals and sensor accessories are monitored, complaint with EU Norm EN16005. EDM-MD can also be used without ‘SMB’ interface board and can accept all current sensors available in the world market today, with the use of our connection terminal provided as standard. Set-up – Door stroke is memorised one-time during initial installation or for servicing requirements. There is no need for the operator to re-learn each time the main power is turned on. 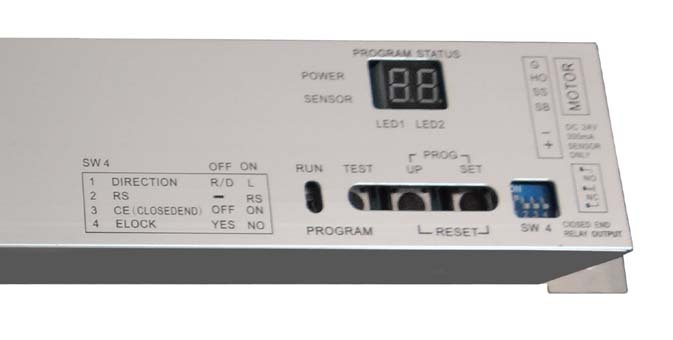 Setting – A selection of operational parameters are available and can be adjusted to suit each installation through the easily accessible LED visual display found on EDM-MD Control box face. Compliance – Meeting highest demands of world safety, EDM-MD is CE and EN16005 compliant. Delivery – EDM-MD is produced to Japanese quality standards in China. Supplied as either a pre-assembled sliding door operator or as a component building KIT. Suitability – Commercial Entrance or Main Door: For installation in Airports, Hotels, Hospitals, Shops and Stores, Liabries, Schools, Office Buildings and Factories. EDM-MD automatic sliding door operators forms the basis to any door automation solution. Equipped with our trademark microprocessor control and motor drive system, EDM-MD will adapt effortlessly to varied door widths and weight capacities up to 100kg per leaf. With modular plug-in parts installed directly from the front onto our base rail, any component can be moved during or after installation. Components can added or replaced with ease, therefore time spent on installation or servicing is greatly reduced. From the very first power on, door optimization is automatic. Utilizing the LED Digital input display provided as standard, all parameters can be adjusted easily (without the need for any hand held PALM or expensive software). Access to operational history, cycle count and error analysis is also possible. Door parameter data can be reset to factory default settings when required. Function & Parameter Adjustment – Microprocessor technology provides exact door control, wide function input options and digital setting adjustment. Memory – Long term memory retention of operational parameters when mains power is off. Compact and powerful motor. High speed acceleration and deceleration is controlled. MICOM enclosed hypoid brushless motor gear ensures safe and long term reliable operation for enhanced operational cost efficiency. SMB is a SENSOR & BATTERY MONITORING SYSTEM which offers compliance with EU Standard EN16005. 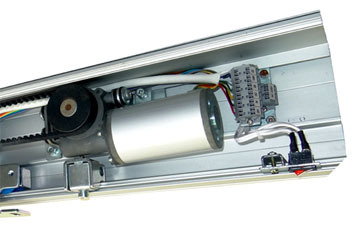 A modular system for enhanced automatic door safety. A Rotary Key function selector switch is supplied together with SMB. Connected into the SMB hub, all signals are controlled for greater ease of operation. Specifically designed so selection can only be performed by authorised personnel using secure key provided. SMB will not function without our selector as it is an integral part of our safety in design. 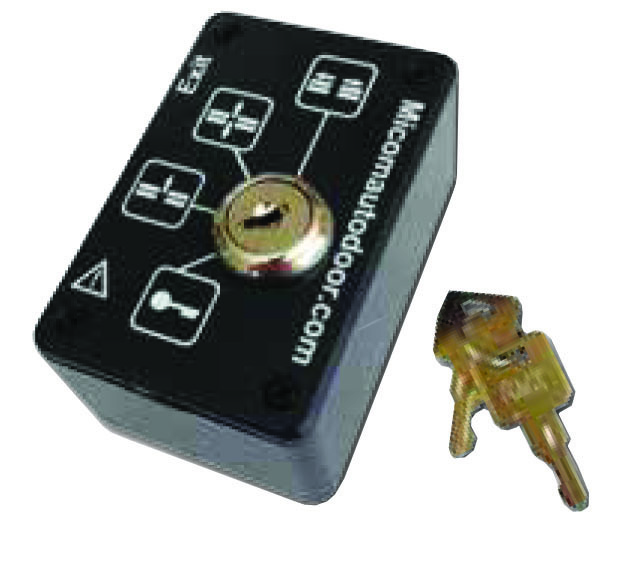 Used with EDM-MD Control box standard output – E-Lock Fail Secure (LK1) available. Used with SMB (Sensor Monitoring Board) as above – E-Lock Fail Secure (LK1) & Fail Safe (LK2) available. EDM-MD can accept a stand alone Rotary Selector switch. RAIL & COVER – (Material Only) – Standard Length: up to 6000mm Available. When used with SMB, EDM MD can be use with a new range of European Standard (EN16005) sensors such as BEA IXIO-S & Optex 0A-Axis-T. When used without SMB, EDM MD can also accept all current sensors available in the world market today, such as BEA Eagle & Optex OA-203C together with threshold safety beam protection.